Turkey hasn't yet commented on the accusations levelled by Iraqi Foreign Ministry on 14 December. According to earlier reports, the Turkish air force killed 8 members of the Kurdistan Workers' Party (PKK) in the airstrike. Iraqi Foreign Ministry has summoned Turkey's ambassador Fatih Yildiz to protest against an alleged violation of the country's airspace by a Turkish aircraft and conducting airstrikes on several sites in northern Iraq. The strikes, which allegedly targeted Kurdish militia positions, led to a "loss of life and property", according to an official statement by the ministry. "Such acts violate Iraq's sovereignty and security of citizens and are unacceptable on all levels, contrary to the principles of good-neighborliness that bind together the two countries", statement said. 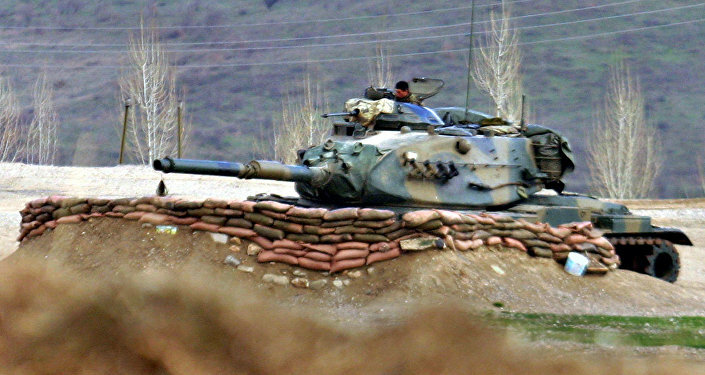 Earlier, media reported that Turkish forces had conducted airstrikes on PKK positions in Iraqi Kurdistan on 14 December, which resulted in the death of 8 members of the group, considered to be a terrorist organisation by Ankara. Turkey hasn't commented on the reports of airstrikes or violations of Iraq's airspace.